The story of Manchester band The Doves is one of great interest, from 1990s dance outfit Sub Sub, to modern day character filled guitar outfit, and with 2 impressive albums, including the number one “The Last Broadcast” they have quite a story to tell. Following on and creating the next chapter, is third album “Some Cities” which not only creates the next chapter in the book, but also tells a plethora of stories within itself. Stories like that of first single “Black and White Town” which describes experiences of growing in satellite towns on the outskirts of Manchester, or any other Northern city for that matter. As something a lot of fans and listeners will identify with, Black and White Town pays homage to the boredom and the hopes of youth, and the feeling of wanting to get out and explore what’s really out there. One lot who really did go and explore what’s really out there, are the band themselves, who whilst recording escaped the city they know so well, for quirky locations including a hotel with a view of Ben Nevis, Snowdonia, and if that isn’t adventurous enough, a Benedictine Monastery. These country haunts and spectacular views obviously influenced their music, just as much as their local surroundings, which are the heart of many of the songs, featured on the album. What else could explain the ethereal and moody, but euphoric “Snowden” recorded in Snowdonia itself, or the haunting “Ambition,” musically sounding like a joyride through the streets of hometown Manchester but actually recorded in the afore mentioned monastery, giving it a strong sense of serenity. One song title that does not instill feelings of serenity into the listener, is “The Storm,” which gained its title from a night spent in the Pennines in freak weather conditions. However, fear not, the harsh storm stops there, and the sun rises as the song opens with a classical violins and chattering voices, like those heard outside in an industrial street on a summers day. The song itself, which takes you back to the urban and industrial streets of any Northern city, echoes with calm rhythmic guitars and strong, melancholic vocals, and sounds more like the calm after the storm. In fact, The Doves take this chance to portray a deep message, using the storm as a metaphor about someone who weathered the storm and came out positively on the other side, a story of conquering and overcoming difficulties life offers, for anyone to take heed of. A strong contender for the band using their experiences and travels as influences. “Walk In Fire” mirrors this positive sentiment, telling the heart-warming story of a strong friendship, and mirroring the classic Doves sound, plenty of melody, and guitar and drum duets, with the strong and laid back vocals shining out, top that with a plethora of urgent crescendos and you are there. Lastly, “Shadows of Salford” shows the band back from dream like places, and on the urban streets of their hometown. Bringing the listener back down to earth, the song opens with schoolboy like taunting chants which pave the way for more stories of Northern soul and growing up in the north. 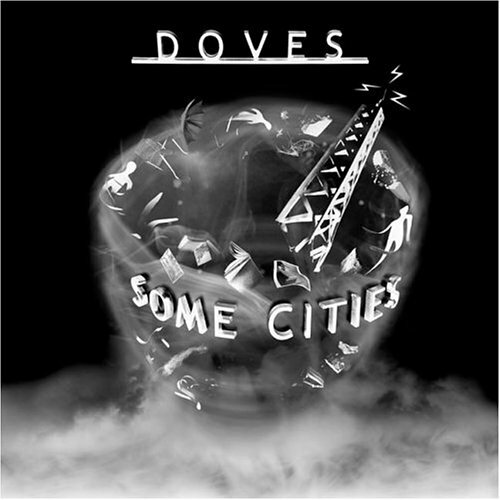 “Some Cities” shows The Doves at full throttle, taking the sounds of “Lost Souls,” the confidence of “The Last Broadcast,” and showing us what they can do, as if we didn’t know!